This one is for all for the pink lovers. 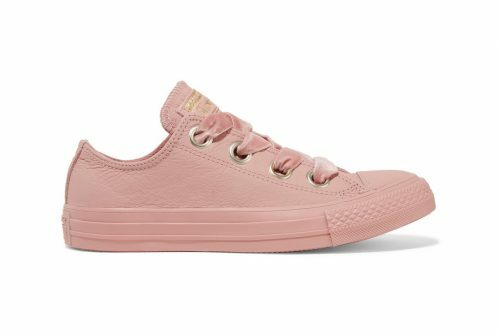 Converse just dropped a luxurious iteration of its evergreen Chuck Taylors in a dusty, antique rose tone, complete with textured leather and luxe velvet laces. 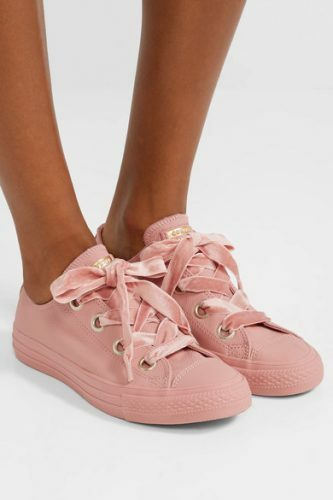 You can dress up or down with this pair of tonal kicks, the pink hue would definitely make a statement in your outfit! This lovely style is available at NET-A-PORTER for USD $65. NET-A-PORTER offers free 3-day US shipping, so count on us to bring back the items from our US warehouse to your door, instead of paying USD $55 for international shipping!